However, I am (mostly) reconciled to the fact that this is not a realistic expectation. And even if it were, it wouldn’t make for much of a blog post. So let us push on. Kazoos. Kazoos! Even when I think the word ‘kazoo’, I find that I’m grinning. The name itself is joyous. It sounds like it belongs amongst the exclamations of “Callooh! Callay!” that one of Lewis Carroll’s Jabberwocky characters “chortled in his joy.” Kazoo! Kazay! It would be nearly impossible to get very far into a discussion of anything remotely creative or philosophical without Brian Eno coming into it. He is a fellow who, above all others, seems to have tried to turn his mind to every single phenomenon that ever has or could exist, and then come up with something stimulating to say about it. He's had his fingers in most of the cultural strands that have unfurled across the last five decades. And he’s just celebrated his 70th birthday. So why not get to this next exercise now. 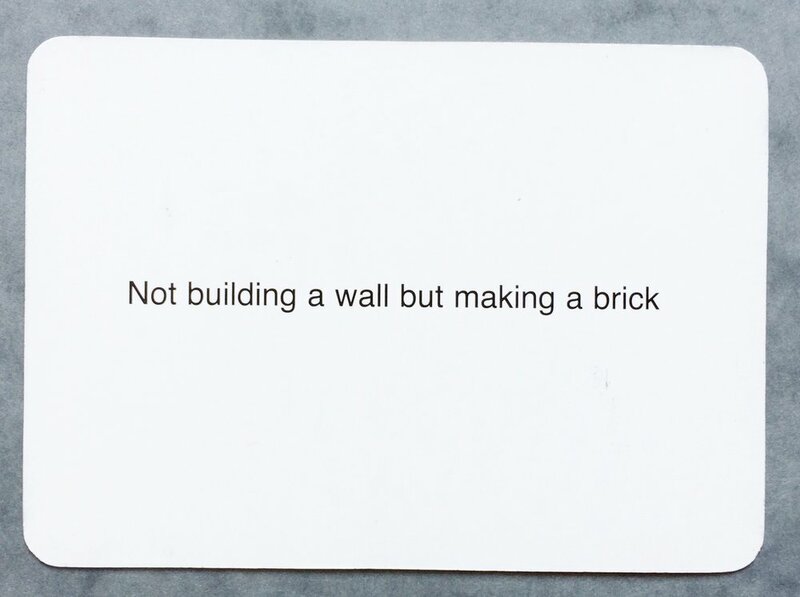 If you’re a thinky or arty person, you’ve almost certainly heard of Oblique Strategies. They’re a deck of about 113 cards (the number has varied over the years), created by Brian Eno and Peter Schmidt. You can buy sets of them in handsome little boxes, or you can download them as an app for your phone. The idea is that any time you find yourself stuck in some sort of creative dilemma, you pick a card at random, and it will offer a vague or ‘oblique’ suggestion of how you could change your approach. For example, there’s one that advises you to “Discover the recipes you’re using, and abandon them.” There’s another that asks, “Do we need holes?” There’s another that just says, “Water.” It’s up to you to figure out how the hell to implement these bits of advice into your particular situation. But if it’s good enough for David Bowie, it’s damn well good enough for the rest of us. 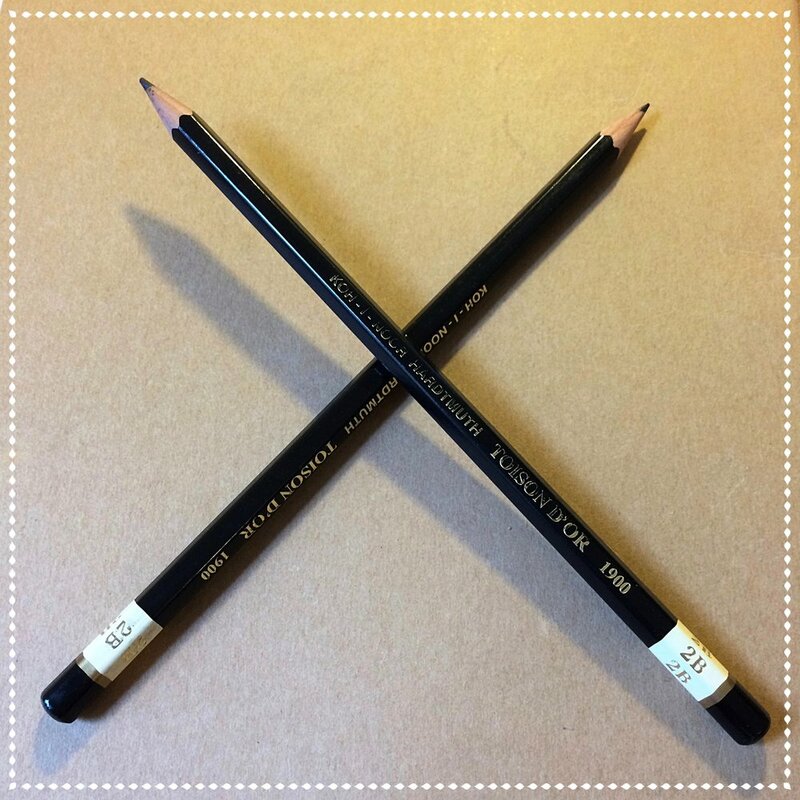 2B, or not 2B? Actually, I quite like a 3B, or even a 4 if I'm feeling bold. One of the top perks of being in Berlin is the abundance of inexpensive, gorgeous Czech stationary. So functional! So sensual! In early 2017, I had a great idea. It was small, it was clear, it was an expression of something I’d been wanting to articulate for a very long time. It arose in a moment of focus and helplessness early one fine spring morning, as I puked my guts out on the back stairs of a bus that was barreling recklessly along the zigzag oceanfront roads of County Clare, Ireland. There were only two words to it: smallness exercises. Winnie the Pooh had his stoutness exercises, and I would have my smallness exercises. In a society obsessed with bigness, I would dwell on the virtues and pleasures of smallness. I would do it for my own sake, and share it with others. Humility, straightforwardness, quiet – qualities whose worth are chronically underrated, and whose value can only increase as they become more rare. I could think of dozens of small things I wanted to champion, in my small way, and I got started nearly as soon as I stopped retching. Why? Because I let something small get in the way.